After more than two and half years of campaigning, polling day is finally here and the people of Scotland will vote decisively in a referendum on independence. 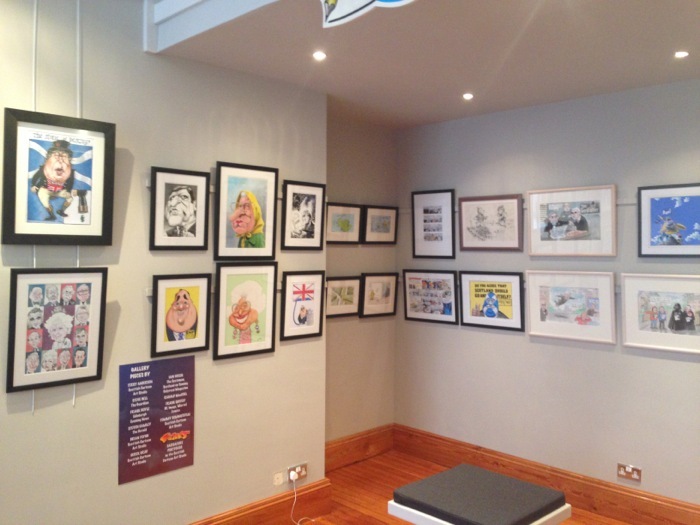 The Auld Acquaintance exhibition at Leiper Fine Art in Glasgow has offered visitors a break from the cut and thrust of the debate and let them see the issues through the eyes of cartoonists from around the world, satirising both sides in the campaign. 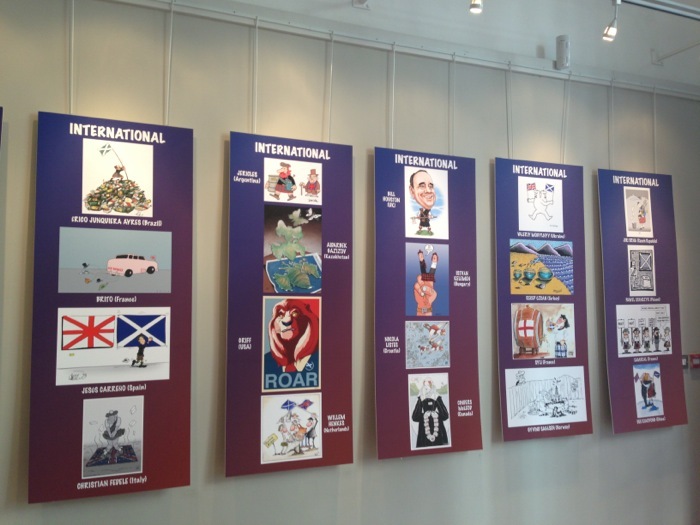 Over the last month many have already taken the opportunity to purchase unique mementoes of the events that have led to the referendum – prints and original art – while others have expressed a desire to buy, but with typically canny Scots prudence have not wanted to do so before the result is known. So it’s with great pleasure that we announce an extension to our exhibition. We’ll remain at Leiper until Sunday the 28th of September, when we will have a special closing party at 17.00, giving everyone their last chance to decide which of the many pieces of artwork available they would like to take home, including the panels from the walls.